Turnkey Bay Lake seasonal cabin on nearly 2 wooded acres--including huge pines! No hill to the lake. Sand beach area. Attractive setting for this log sided cabin with great easterly views! Pole shed is 45x30 ft. Most furnishings stay, including: 2004 Crestliner 1750 SportFish with 115HP Yamaha 4 stroke & trailer, Minnkota auto pilot,Hummingbird fish locator & more. Roll in dock, riding lawn tractor, beds, tables, tv, sleeper couch, and lots of misc. items. Septic sized for up to 4 bedrooms. Year built is estimated. 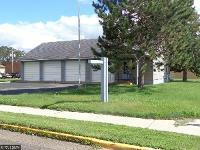 Nearby shopping,golf, and famous Mille Lacs Lake. Fantastic building or camping site! Level sand beach on Lower South Long & frontage on the Nokasippi River as well! Beach is beautiful sand with no hill! Even in the lake, the slope is very gradual. Well, septic, electric all ready to plug into. Nice mature trees with Hardwoods & Pines. Includes storage shed, bath house, 60' roll in dock plus small dock on the river. Boat lift & canopy too. ( Read seller's supplementals.) Quiet street with upscale neighboring homes. Montana camper not included. Enjoy this well maintained home with many special features. Beautiful kitchen cabinets, eat-in plus formal dining rooms, 2 full & 1 3/4 baths with oversized roll in tiled shower. The triple garage has 9' high doors. The large deck overlooks the fenced in back yard with undeveloped area behind. This prized located is just over a mile to town and minutes to Buffalo,Delano,and Waverly. Lots of character in this well maintained 1.5 story home! Main floor laundry, bedrooms and full bath. Upstairs is used as a large 3rd bedroom. The full size unfinished basement has a toilet, storage, work bench, and lots of open space! The big back yard is privacy fenced. The single garage is positioned so there are parking spaces in front of it. Convenient to the High School, or to the Minnesota Avenue stores. Seller is related to listing agent. One level living with att. single and det. double garages! Open floor plan combines kitchen, dining & living rooms. 2 bedrooms plus office or 3rd. bedroom. Handy location to the bike trail and not far from high school. Big porch overlooking the back yard. County valuation is $94,600 & non homestead taxes are $1695.00. Get it homesteaded & reevaluated to lower the taxes. Property is being sold "as is". Possible contract 4 deed. 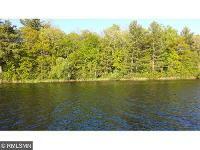 West facing Reno Lake lot with paved street, electricity, cable, natural gas, city sewer & water all available. In town amenities with a country feel! Site may be best suited for a crawl space or slab style home. Great bldg. site on Reno Lake! West facing lot & level elevation! City sewer & water, natural gas, cable, electricity, all available. Quiet dead end paved road. Site likely best suited towards slab or crawl space type home. 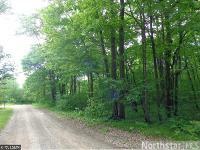 Mature hardwoods on quiet street just off the Beach Road of Serpent Lake. .85 acre. Natural gas and electric are nearby. Most monuments are located. Possible trade. Owner - agent. 4 additional lots adjoining are available at $7950 each in groups of 2. 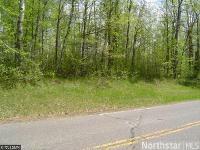 Handy location on paved road near Blackhoof Lake----between Ironton and Brainerd. Land abuts 247 acres of state land to the north. Pond & wetlands to the south & east. CR 128 is the west line. Effectively a very private building site. 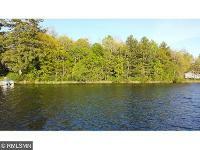 Wooded land with pond large enough to attract waterfowl. Seller will rezone if seller requests. Land was surveyed and has soil test results available. Enjoy this super white sand beach on Horseshoe Lake! 100' of frontage with very little elevation and a full acre of privacy! Paved street to the paved, tree lined drive, to the attached garage. 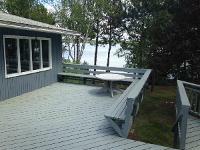 This cozy cottage is well maintained and features many lake side windows to take advantage of the great lake views! Amply room for friends or family with the huge family room, and oversized deck. Friendly floor plan features main floor laundry and 2 MF bedrooms plus a 3rd downstairs. Central air too! GREAT SAND BEACH! FISH , SWIM, SKI. Enjoy all the lakes, golf, dining, and all around family fun in the Cross Lake Area! Big 4 lot parcel just a block off of Main Street. Overall parcel is 100' x 125'. Bldg is 30 x 62. Office has reception area, office, bath, and heated storage room. Heated area is 30 x 24. Non heated area is 30 x 38. Roof age estimated at 11 years. Great site for office & storage, sales & service, or sales & storage! Or bring your own ideas. Zoned Central Business District / Commercial, though duplexes are allowed as well.